A roundup of of some easy but stylish Halloween DIY ideas and crafts from accessories, decorations to cakes and cocktails! The garish ,blood-spattered, neon coloured style of most Halloween decorations is just not my thing. I love a good horror film, so its not that I’m squeamish or dislike Halloween for religious reasons, I just don’t feel it. But that doesn’t mean I want to miss out the celebrations altogether. If anything, Halloween is an excellent distraction from the fact the clocks go back and the days start getting really short and the weather gray. 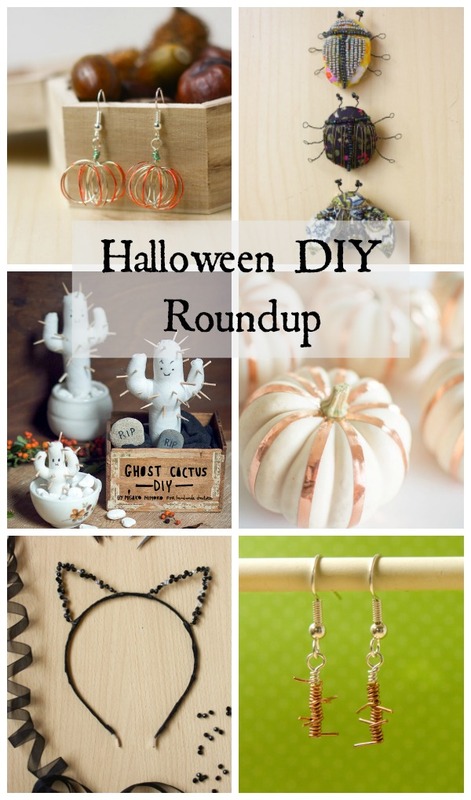 So here is my roundup of some of the more elegant Halloween DIY Ideas from craft and design bloggers. What have you made for Halloween? Let me know if you are a fan of a more stylish Halloween too by commenting below or message me on Twitter, Instagram or Facebook! Happy Halloween Making!